Despite its graciousness and good bones, this house was in a state of neglect when we started this project. Dreary and uninspired, it projected a lifeless feeling, exactly the opposite of what our clients envisioned. Impressed by its possibilities, we were certain the house could be turned into the warm, European-style villa the family desired. 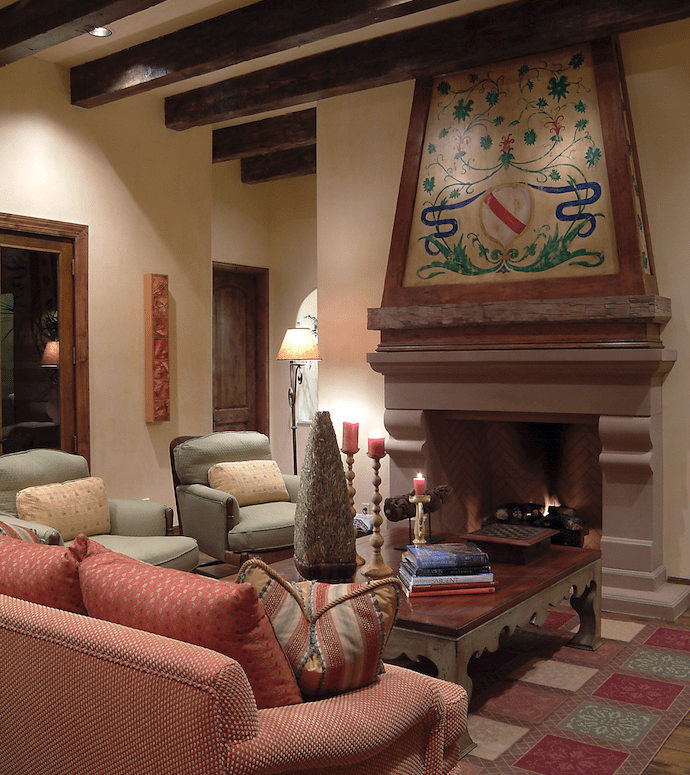 Remodeling the three fireplaces by increasing their scale and importance contributed significantly to the overall design theme as did the Venetian plaster and faux finishes that were applied to virtually every wall inside and outside the house.